Hadiza Blell aka Di’ja, who’s half Sierra Leonean and Nigerian has recently opened up about her journey to music stardom in an interview on Coke Studio Africa. Similar to other celebrities, Di’ja confessed that things weren’t easy for her. Some of the jobs she did before she blew up include waitressing & being a mascot at children’s parties to fund her music. 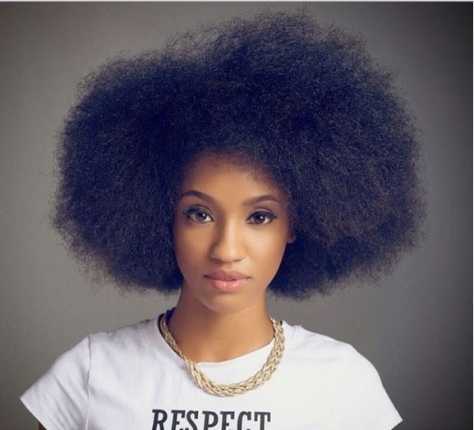 Mavin star, Hadiza Salma Blell widely known as Afro Di’ja spoke with LIBrecently where she gave reasons why she had a secret wedding and why she never shares photos of Rotimi, her husband on social media. But it’s not like am going out of my way not to, i guess it’s just not in my character to do it all the time, but i’m also getting better at my Instagram. At least you see my baby and all other stuff, (laughs). So I always say there is difference between privacy and secrecy, it’s not something to hide. Again, i guess people forget that when you are in the entertainment industry, you also have to live a normal life. For instance, i wake up in the morning and i give my son a bath, and sometimes my mom will, and other times, it is a maid and an aunt that would help me with him. So don’t forget you have a real life too and you have people to answer to as well. Again you wake up and you have people that are depending on you, and people you pay for the work they do for you, you know as much as we have this entertainment life, and it’s amazing, i mean, God bless you all for liking us so much because it’s actually your love that has put us on the pedestal, but we also do these things and wake up with a regular life, so in that sense and sometimes because i could get carried away, that’s majorly the problem.